In 2005 the first comprehensive national survey of the condition and preservation needs of the nation’s collections reported that U.S. institutions hold more than 4.8 billion items. Libraries alone hold 3 billion items (63 percent of the whole). Some 630 million items in collecting institutions require immediate attention and care. As natural disasters of recent years have taught us, these resources are in jeopardy should a disaster strike. Personal, family, and community collections are equally at risk (LOC). 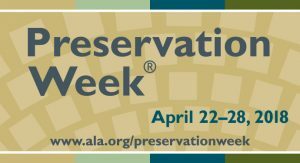 In Special Collections and University Archives we have many dedicated librarians and archivists who help routinely preserve our collections through housing and arranging archival collections. This includes careful consideration and mitigation of key environmental risk factors such as light, pollutants, heat, and moisture. We are also fortunate to have the technical expertise and assistance of conservation technicians in the Beach Conservation Lab, who provide services in conservation, preservation and housing of paper-based collection materials in SCUA, and to all other units of the Library. Take a behind the scenes look in the Beach Conservation Lab to see the important work being done to preserve UO’s collections. An array of completed enclosures and spine repairs. 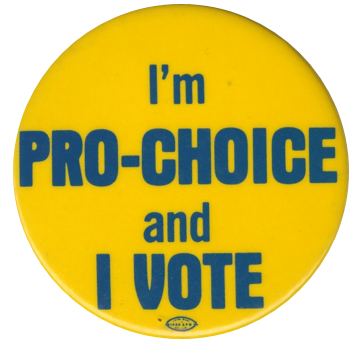 In honor of Women’s History Month, Special Collections and University Archives is highlighting the Oregon Women’s Political History Collection. The Oregon Women’s Political History Collection comprises over a dozen individual manuscript collections. 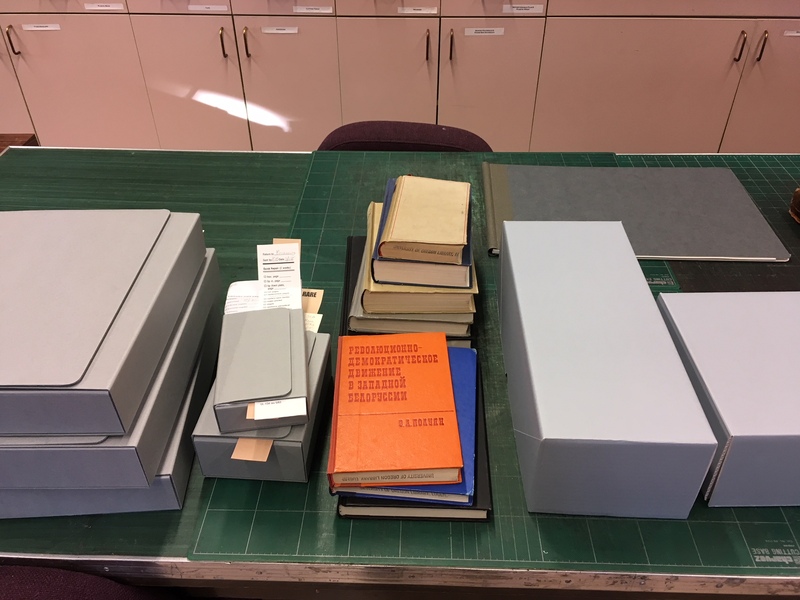 These collections constitute over 200 linear feet of manuscript material and represent women’s political and activist work in Oregon in the latter half of the twentieth century. 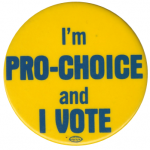 The collection was started in the 1990s as a collaborative collection development effort among UO Libraries, the Center for the Study of Women in Society (CSWS), and the Friends of the Oregon Women’s Political History Collection. 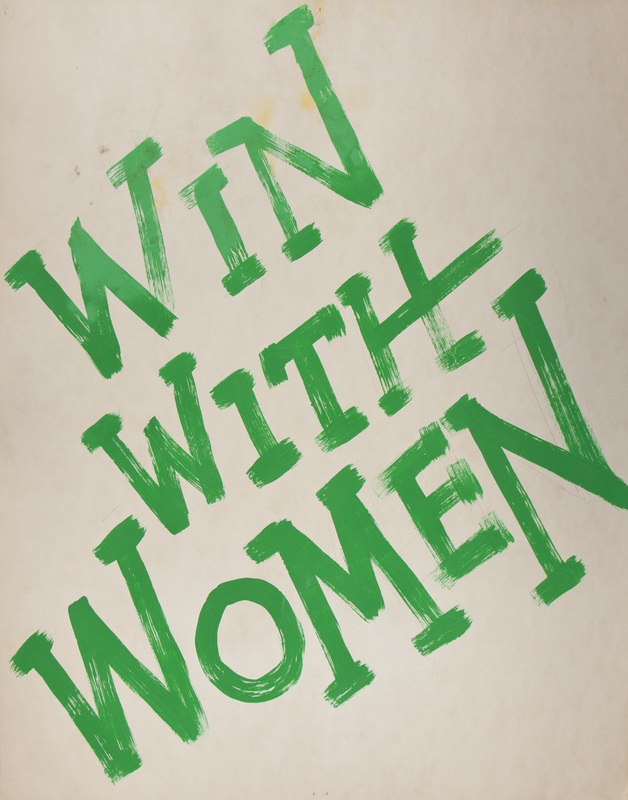 The activist women represented in these collections worked to increase women’s political engagement in Oregon and empower women to fully participate in elective politics and government agencies at the local, county, and state levels. The story of women’s political work in Oregon in the mid-to-late twentieth century has not been fully told; these primary documents–the sources necessary for the writing of history–are essential to that process. 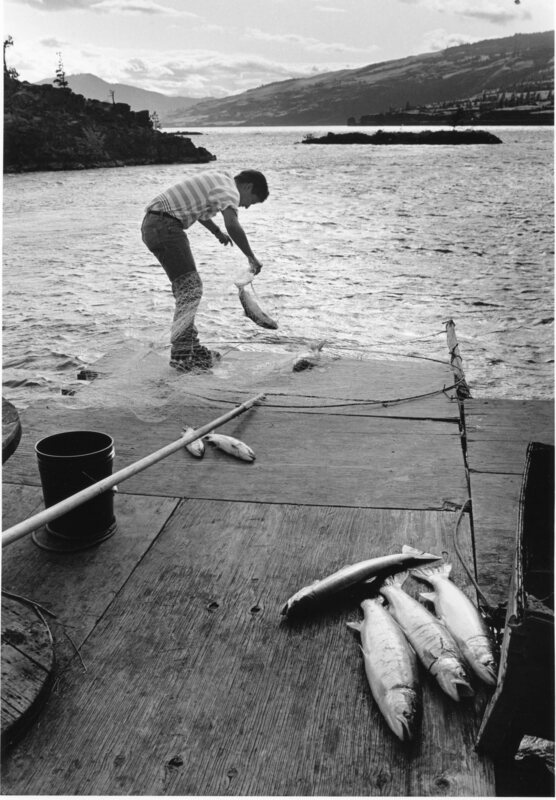 Through support by LSTA funding administered by the Oregon State Library, grant project staff were able to process, catalog, and publish finding aids for these collections and provide access to these collections. Researchers can find out more about related SCUA collections documenting Women, Gender, and Sexuality in our research guides. 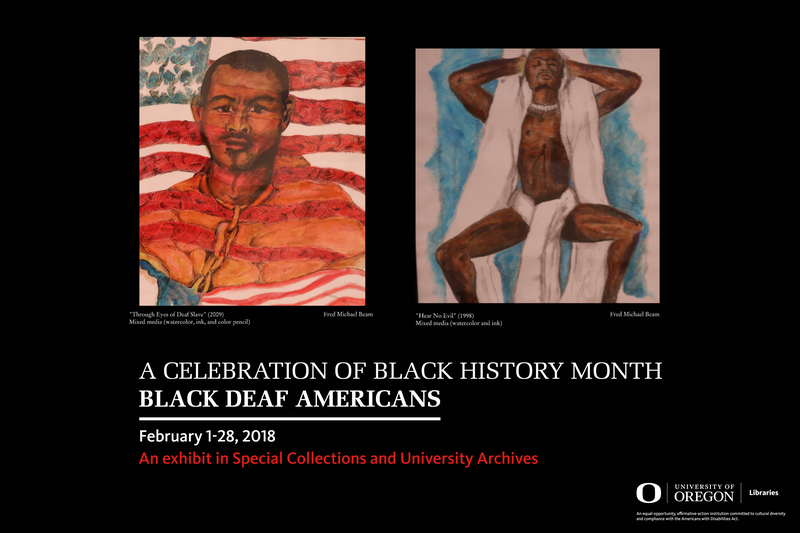 Special Collections and University Archives (SCUA) has recently mounted an exhibit focusing on Black Deaf Americans to celebrate Black History Month. Black Deaf people have one of the most unique cultures in the world. The Black Deaf Community is largely shaped by two cultures and communities: Deaf and African-American. Some Black Deaf individuals view themselves as members of both communities. Since both communities are viewed by the larger, predominately hearing and White society as comprising a minority community, Black Deaf persons often experience an even greater loss of recognition, racial discrimination and communication barriers coming from both communities. Little has been written about the Black Deaf community. Even though segregated schools existed until the mid-1950s, no historical analysis of that experience, its people, or events has been written. Only a handful of memoirs by Black Deaf individuals have been published. Recent interest in Black Deaf sign language has produced a seminal work on the subject, The Hidden Treasure of Black ASL, but much more research needs to be pursued. 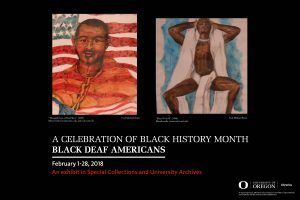 This exhibit seeks to highlight the history, experiences, and accomplishments of Black Deaf Americans through six themes: segregated schools for Black Deaf students, memoirs by Black Deaf adults, incarceration of Black Deaf, Black Deaf sign language, Notable Black Deaf, and artwork of Black Deaf. 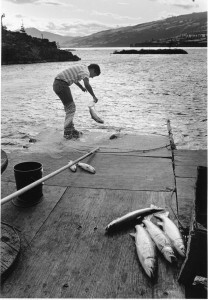 Some of the archival material exhibited is extremely rare and difficult to find. Several publications on exhibit are considered rare books. Even some recent titles on exhibit are difficult to find. 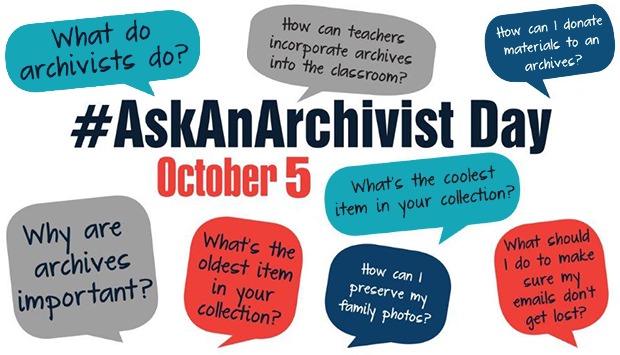 On October 5, archivists around the country will take to Twitter to respond to questions tweeted with the hashtag #AskAnArchivist about any and all things archives. Tag Special Collections & University Archives at @uoregonlibnews to ask questions, get information, or just satisfy your curiosity! You’re always welcome to ask us all questions on other days too- but you knew that, right?